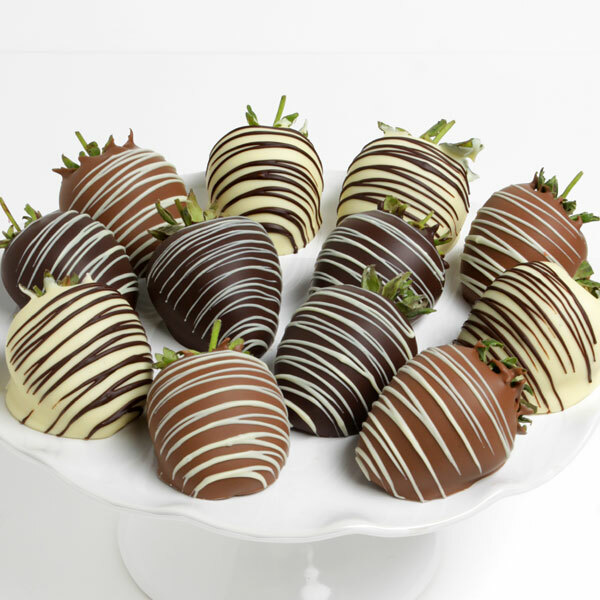 Perfectly ripe, juicy strawberries that we've hand-dipped into luxurious white, milk, and dark Belgian chocolates, then elegantly embellished with thin ribbons of chocolate drizzle. I ordered this few days ago for my bf and he's happy. I was hesistant at first because I will sent it all the way across the country but they assured me that the integrity and freshness is preserved and its very secured during the shipment. They responded to inquiries and replied right away. Great strawberries and chocolate too.